As one of the largest music festivals in the country, SXSW is known for putting a spotlight on indie artists. It’s no surprise then that Strange Music’s Stevie Stone is setting his sights on performing at the festival possibly as early as next year. Next on my list is to perform at SXSW.It’s about that TIME!!!!! The emcee hit the web recently to reveal that a performance at SXSW is next on his list of accomplishments. The popular Austin, Texas-based festival has proven to be a great opportunity for Strange Music as Tech N9ne has appeared several times in the past. Stevie Stone has already set the bar high for himself as 2012 saw him release his Strange Music debut, Rollin’ Stone, as well as break records on Tech N9ne’s Hostile Takeover 2012 Tour. With reports of an EP and a new tour on the way as well, Stevie Stone is bound for new heights with a grind that just doesn’t quit. Stay tuned for the latest on Stevie Stone! 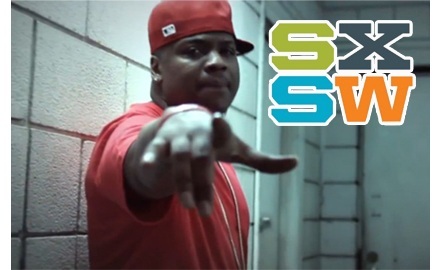 What do you think about Stevie Stone performing at SXSW?